I have nearly finished the baby burrito. Today I bit the bullet and decided to get out the sewing machine and sew in the lining. Yesterday I went to Jo-Ann’s and found the perfect flannel to match this. 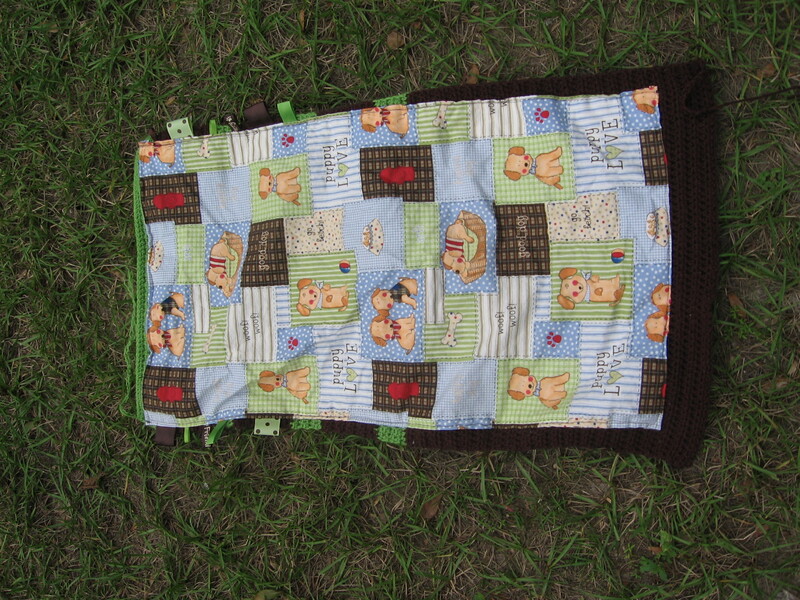 It has puppies on it in sort of a patchwork look with the same green and brown as the burrito. Here is the outside of the burrito taken a couple of days ago. 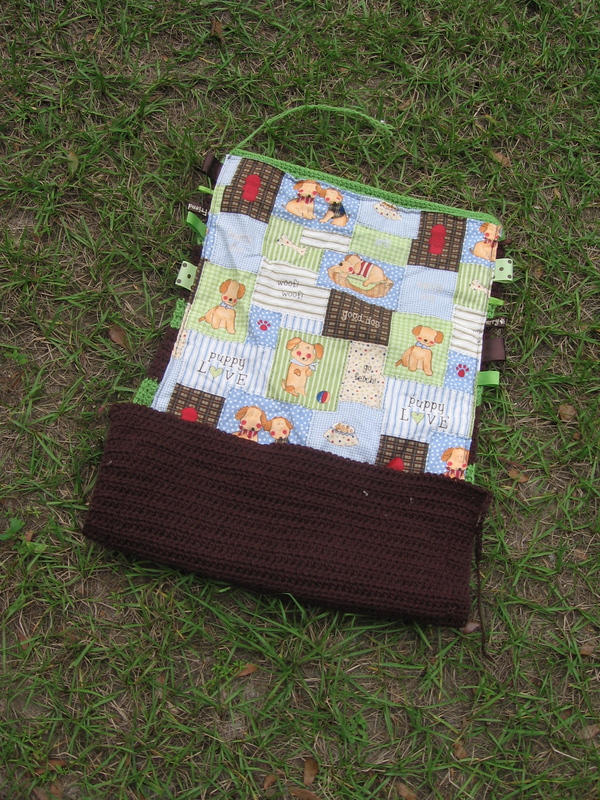 This is the inside of it, without the pouch/pocket folded up. 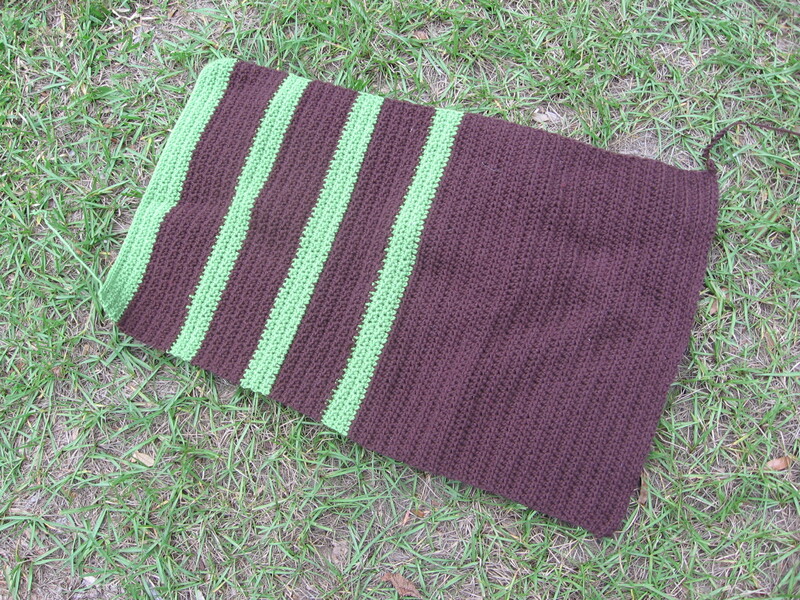 And this is roughly what it will look like when it is all done and I have crocheted the pouch/pocket sides up. You can see that I sewed in a bunch of ribbon “tags”. I found out that babies like to, well, fondle tags. So, I gave him to grab on to. I will send off the burrito after I take it in to crochet group tomorrow night.